Instrumentation: picc/fl(+picc) 4fl. afl/fl. bfl/afl. 8 traditional folk songs from England, Ireland, Scotland and Wales arranged for 5 flutes, alto flute and bass flute. 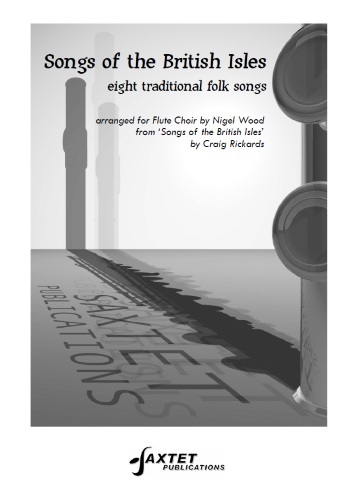 8 traditional folk songs from England, Ireland, Scotland and Wales arranged for 5 flutes, alto flute and bass flute. These contrasting pieces are of moderate difficulty and can be played separately or as a complete set.